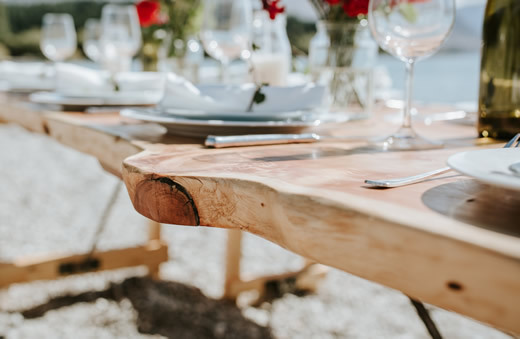 The Rustic Rabbit is a bespoke furniture hire company. 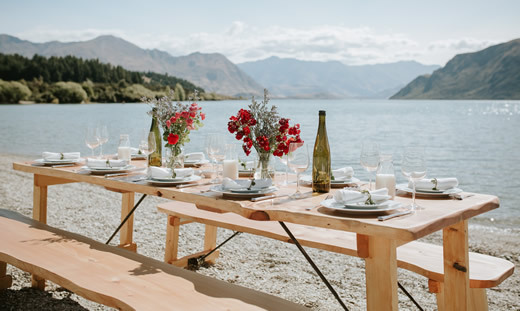 Inspired by our beautiful surroundings, these handcrafted tables and bench seats are made from stunning macrocarpa timber and perfectly compliment Wanaka's beautiful surroundings. The Rustic Rabbit will deliver your tables to your venue and collect them after use. The rental rates are for up to 3 days hire and delivery is free for the Wanaka area. Please contact us for our out of Wanaka delivery rates. You are more than welcome to come and view our tables before you hire them. Please visit our website for more information or contact us direct by phone or email.